“That’s actually the first time we’ve exchanged words this postseason. But he’s a really good player. He applies a lot of pressure just due to his athleticism and his creating ability. Now, in Westbrook’s defense, he actually took 34 attempts (and made 15) to score 47 points, not 40. We’re guessing Beverley would stand by his point, though. 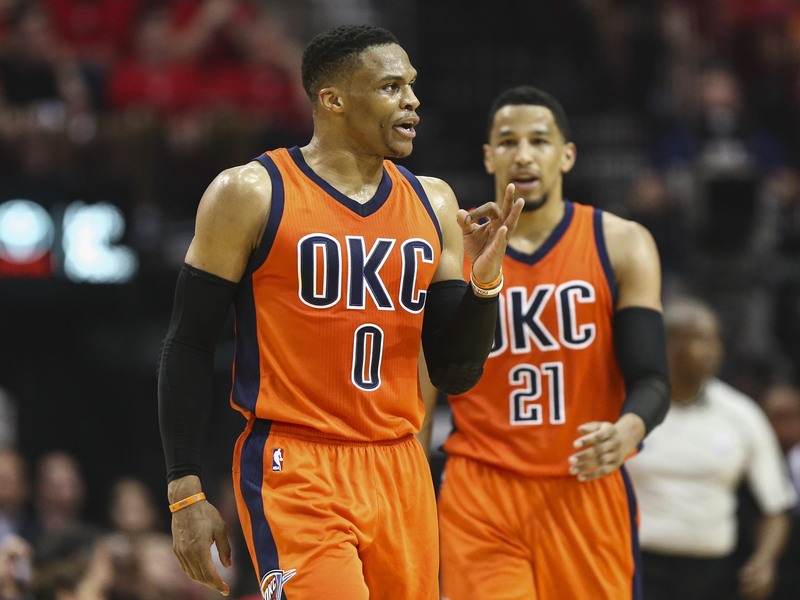 The Rockets held Westbrook just shy of a triple-double (11 rebounds, nine assists) in Game 5. Houston claimed a 4-1 series victory with Tuesday night’s 105-99 win. Beverley had 15 points on 6-for-10 shooting, eight rebounds, three assists and a steal; James Harden led the Rockets with 34 points on 8-for-25 shooting.